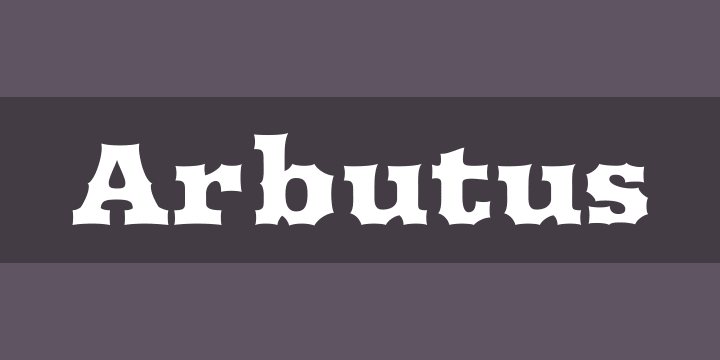 with Reserved Font Name “Arbutus”. Arbutus is a sturdy, medium contrast, slab serif typeface with a faceted/spiked treatment inspired by American wood type. The generous spacing found in this design means that it can be used at fairly small sizes which make it surprisingly versatile.